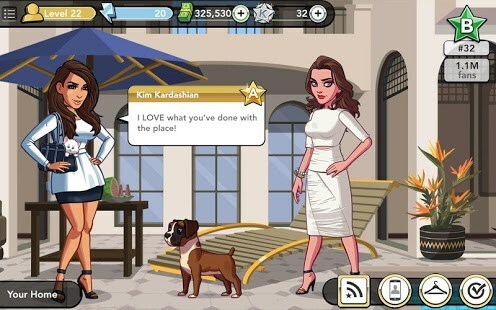 KIM KARDASHIAN: HOLLYWOOD – Games for Android 2018 – Free download. 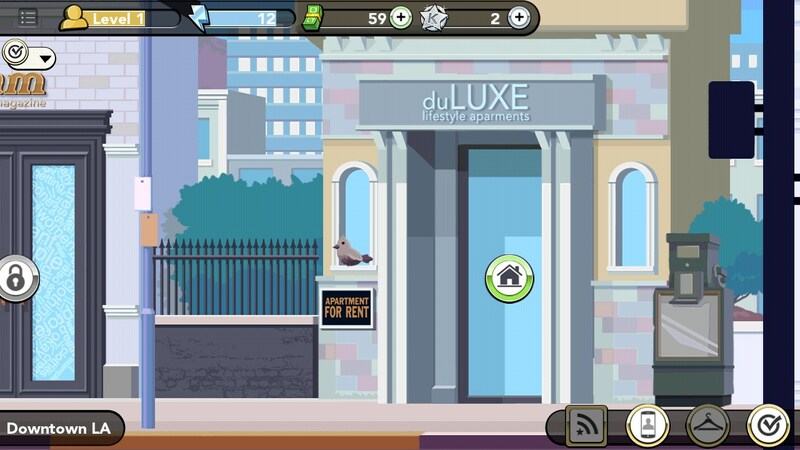 KIM KARDASHIAN: HOLLYWOOD – A star is born - side scrolling adventure RPG. 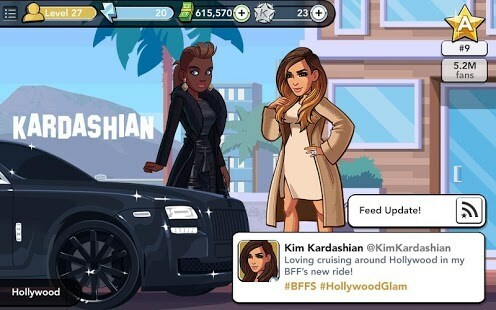 Kim Kardashian: Hollywood is an interesting take on the action, role-playing genre. 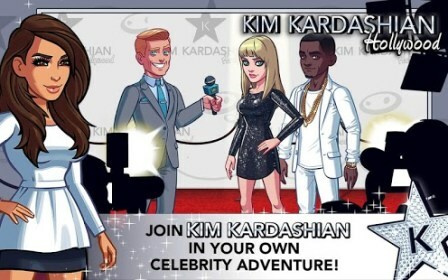 Instead of the standard type of adventure, yours is the adventure on the path to fame. 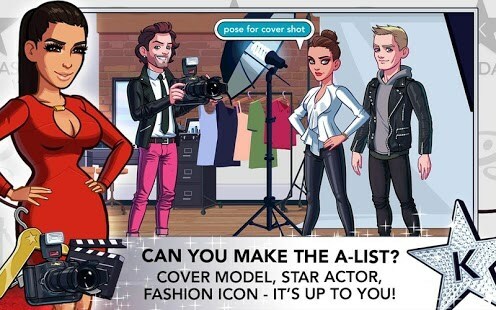 This side scrolling adventure RPG gives you a glimpse into the world of Hollywood celebrities. 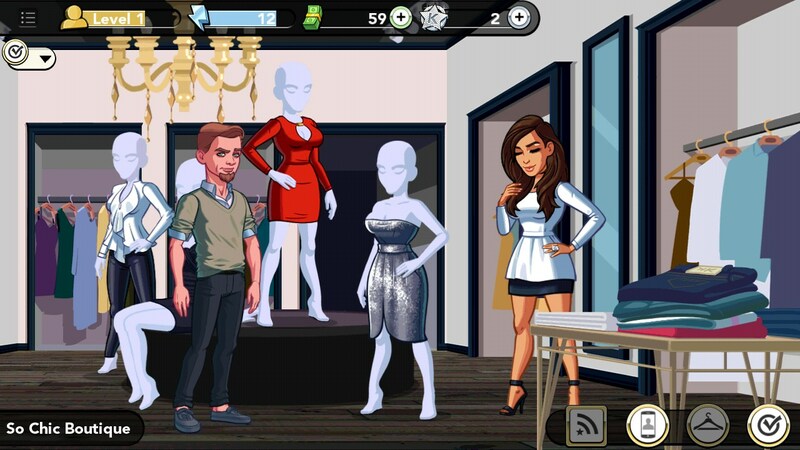 Create your avatar and start out as a nobody, working in a clothing boutique in Los Angeles. 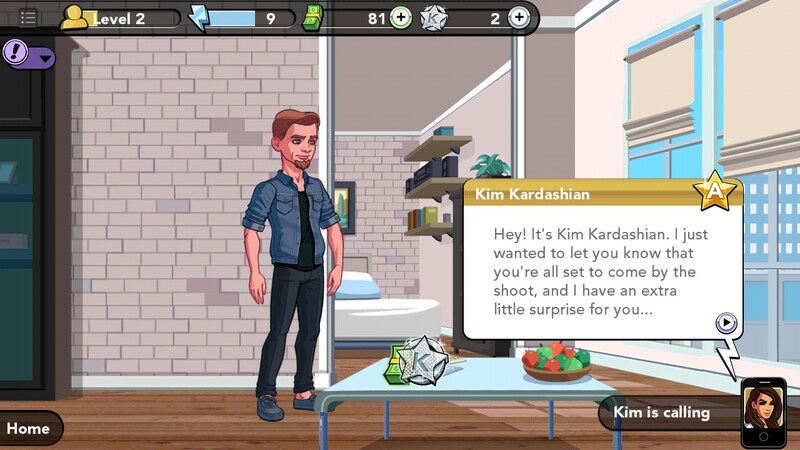 Your life is about to take a drastic turn as you meet Kim Kardashian who introduces you into a new lifestyle. 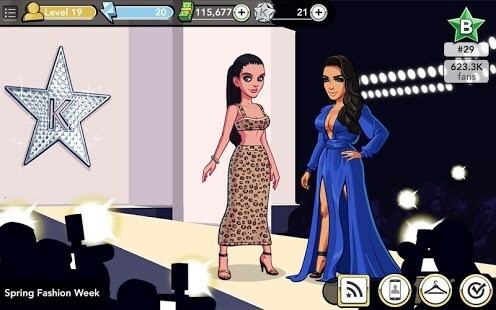 A life of glamour, celebrities and luxury awaits you as your meteoric rise to fame and fortune knows no limits. The world is fairly well detailed and there is plenty of content to explore. 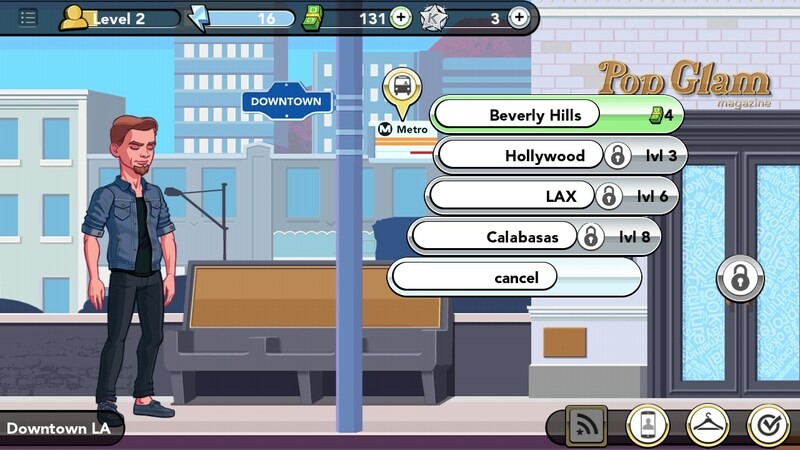 From exclusive clubs to photo studios, LA is packed full of characters to meet and interact with, although most are one-dimensional. You can tell right from the start who the spoiled brats are and who to impress in order to get ahead in this new life. The conversations are rather simplistic but make some attempts to be entertaining, though some seem to try too hard. 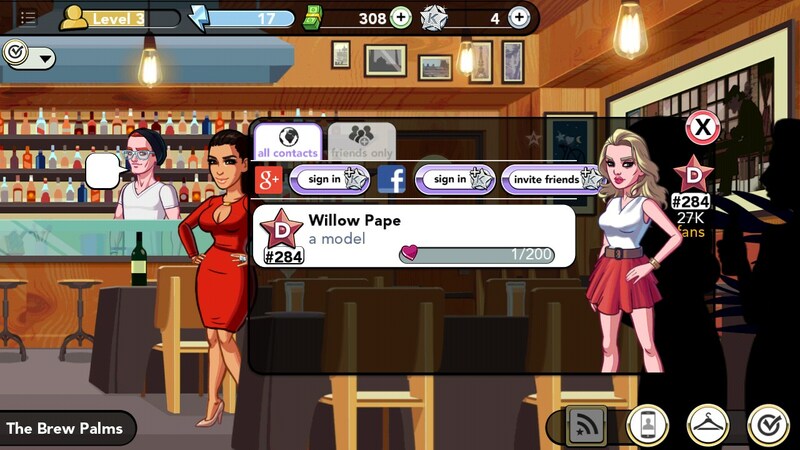 A certain manager springs to mind, who adopts the phrase “YOLO” because his teenage daughter uses it. 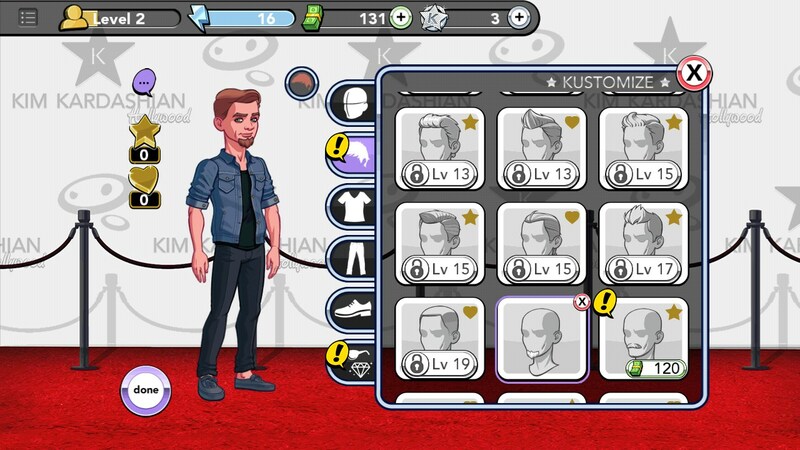 Your fame offers you access to more exclusive possessions: a fancier house, better clothes etc. 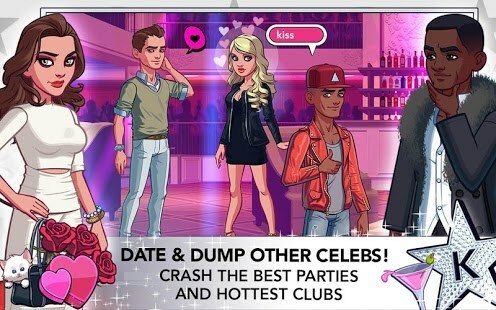 The cartoonish graphics fit well with the conversations, reminding the user that the game is not to be taken extremely seriously. It would have been nice if characters, and most importantly the main character were better animated. 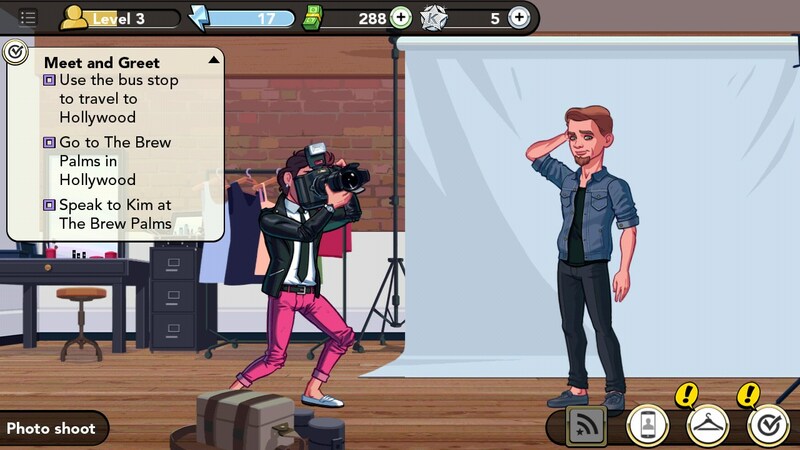 It was a bit disappointing to see my character just stand there scratching his head while in the middle of a career defining photo shoot. I have to admit that a lot of work seems to have been put into character design, there are lots of customization options available for the main character and even other characters looked good. 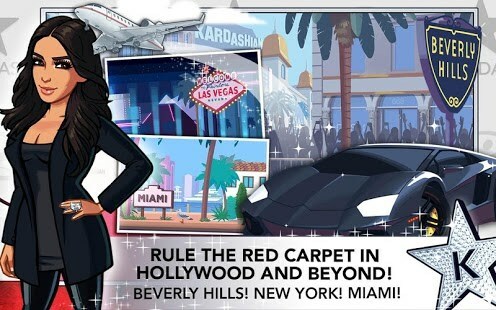 Overall Kim Kardashian: Hollywood for Android is a nice and simple game that can offer players plenty of enjoyment through the lots of content and pop culture appeal.